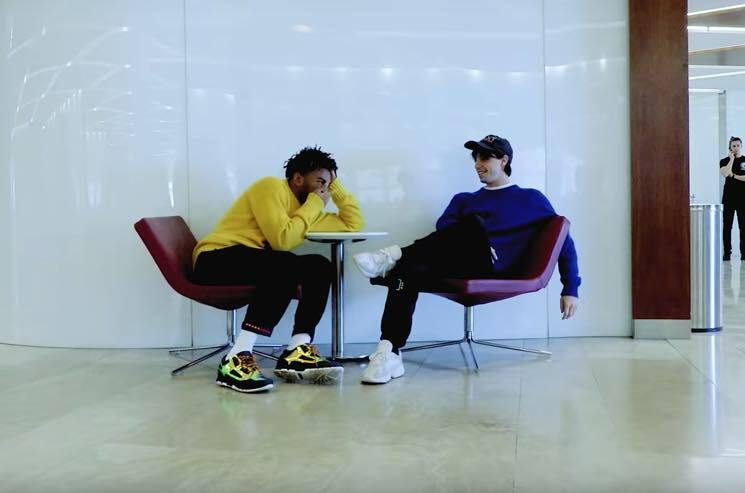 Brockhampton released their Iridescence LP just a couple weeks ago, but the group are already back with some fresh material. They've teamed up with A$AP Rocky for a new track called "Bankroll." So far, they've only shared a one-minute teaser for the song, but you can give it a listen down below. It arrives with a video clip that opens with an introduction from Meryl Wood, before Rocky's verse kicks in and the group's upcoming tour dates (minus Toronto) scroll across the screen.